This summer break has brought many first for our family but one of the most fun was taking Graham and Miles to their first trip to a movie theater. Regal Cinemas has a summer movie express every year where select movies are shown on Tuesdays and Wednesday mornings and only cost $1.00 per person to attend. It’s an easy way to see a movie on the big screen and not have to worry about bailing early if needed and you can bring along younger siblings and now worry about them making too much noise. The first movie we saw was The Penguins of Madagascar. 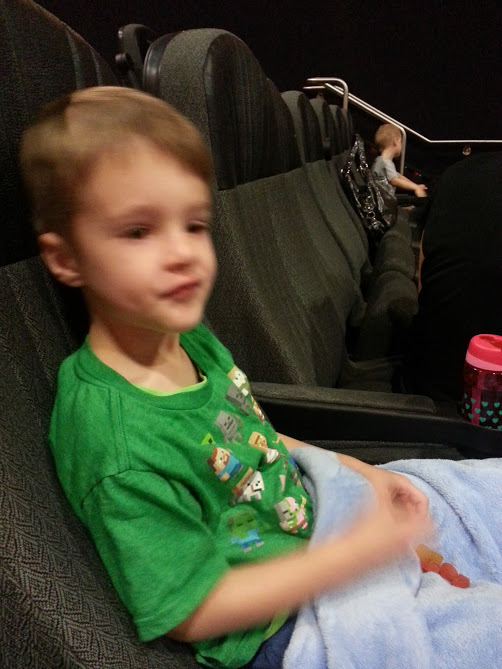 We bought popcorn and picked our seats and the boys got to take it all in. They asked a bunch of questions and laughed about how the seats would fold up if they stood up. Joel even took a vacation day so he could come along and not miss a special first for the boys. I tried to snap pictures fast and didn’t make the kids pose so that I wouldn’t embarrass them (Geeesh Mom!). 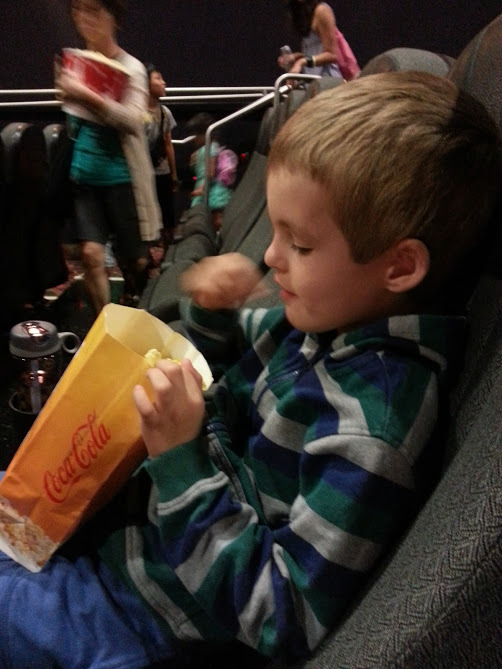 The second time I took the boys solo to go see The Lego Movie and again we had a good time. 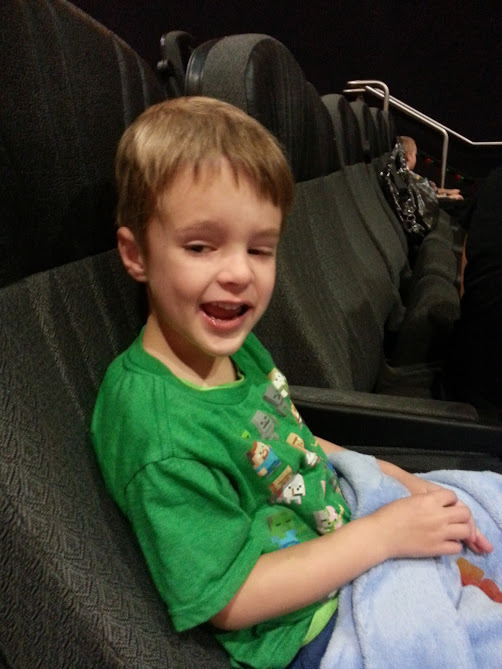 More popcorn and snacks and bouncing around in the fun movie theater seats. Some day these boys will be teenagers and going to movies with their buddies instead of Mommy. I did my best to really take in the experience and enjoy seeing them at a movie theater for the first time.